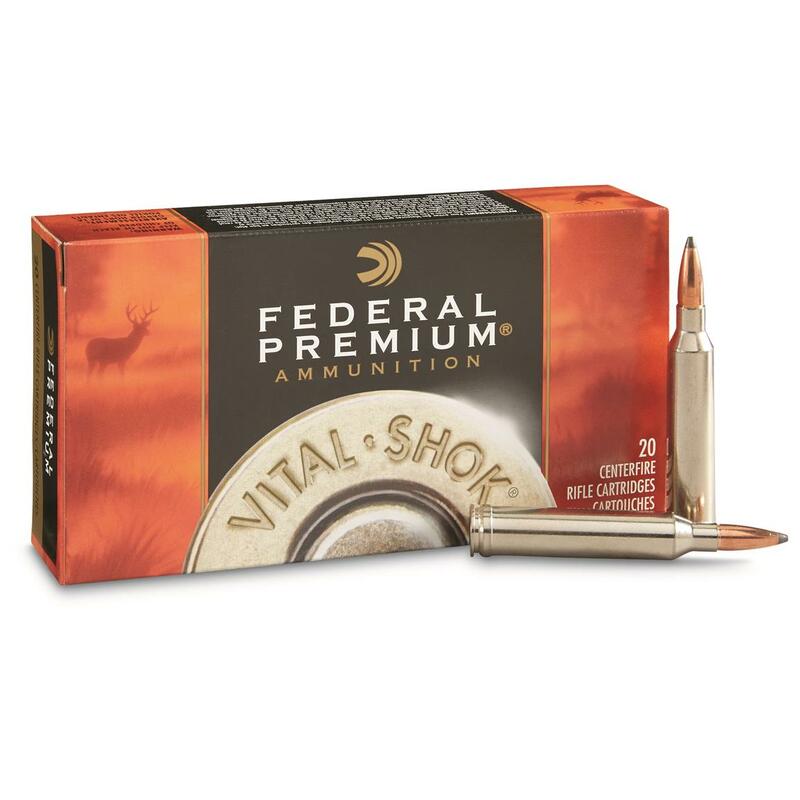 Federal Premium Vital-Shok offers the best constructed bullets available for large game at close to mid-ranges. Fulfill your trophy hunting needs with the variety of Federal Premium's reliable, non-lead, high-weight retention and copper bullets. Federal Premium, Vital-Shok, 7mm Remington Magnum, NP, 140 Grain, 20 Rounds is rated 5.0 out of 5 by 4. Rated 5 out of 5 by Todzilla from Brutal Cartridge! I took 4 deer with this round last season. I never needed a second shot either. Devastation is the only word that comes to mind. I shot this doe at around 300yds and the bullet went in above the shoulder and came out the skull and neck (shot was from behind the animal as it was standing away from me facing 11 o’clock). I will never shoot another round in my 700 except for this cartridge. Truly remarkable! Rated 5 out of 5 by arm7 from clean, one shot kill! I used the Federal Premium 140 grain Nosler Partition to take a nice Columbian Black Tail buck at 530 yards this past October. I definitely recommend you give this a try in your 7mm Remington Magnum! Rated 5 out of 5 by JohnnyU26 from Trophy Buck with great ammo I use the Federal Nosler Partition Vital Shok for white tail deer in Northern Pennsylvania. The bullet performs very well. Put your time in on the range and you'll not regret choosing this round. I've taken 2 very large northern whitetails with 2 very good Federal bullets. The trophies are the proof! Take my word and you won't be disappointed. Less drop over distance and extreme long‑range accuracy.